4 Beds 4 Baths 1 Partial Bath 2,638 Sq. ft. Absolutely STUNNING, almost new construction, home located in the highly desirable neighborhood of Paradise Preserve. This 4 bedrooms, 3.5 bath home is over 2600 sq. ft. Absolute attention to detail was given during the construction of this home. Kitchen features granite counter-tops, high end white cabinets with crown molding, top of the line SS GE appliances, cooking island, recess lightning. Additional features include crown molding throughout, hardwood flooring, beautiful built-ins on either side of gas fireplace, surround sound & built in speakers. Bathrooms also feature top end finishes throughout that will wow you! 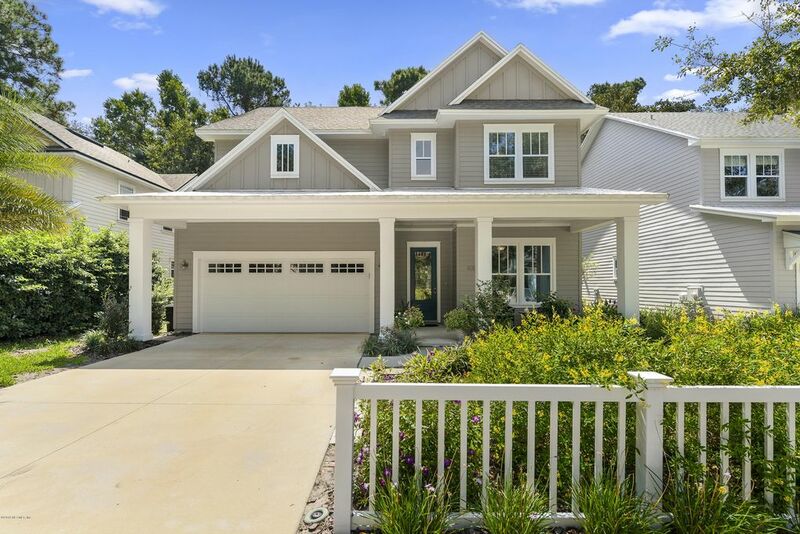 Exterior features include a covered porch, screened patio, racked storage in the garage, lush landscaping, invisible dog fence & backs up to a preserve. Directions: Take I-295 N to FL-10 E/Atlantic Blvd (Exit 48). Use the right lane to merge onto Mayport Rd. Turn left onto Dutton Island Rd W. Turn left onto Paradise Ln., then 830 Paradise Ln is on your right.